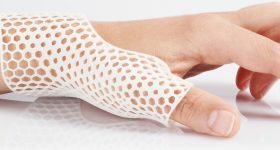 This article in our thought leadership series examining the future of 3D printing looks at possibilities for bio-fabrication and skin tissue regeneration. Professor of analytical chemistry at the University of Parma, Lisa Elviri is founder and CEO at Srl. Since 2001 she has been a researcher at the University of Parma gaining a sound experience in the management of interdisciplinary and international research projects in the biotech, food, forensic, environmental, and pharmaceutical fields. Her research experience includes the development of immunoassay nanotechnology printing-based diagnostic kits for private companies (UK, D), focusing attention on the scientific and technological transfer. Her main activity is now focused on preparation and characterization of polymeric materials for application in regenerative medicine. She authored more than 90 international publications, patents, and participated in more than 140 national and international congresses. 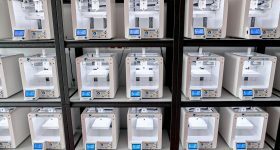 The role of 3D printing in skin tissue regeneration: future perspectives The number of people suffering from chronic skin injuries (venous ulcers, artery ulcers, diabetic ulcers etc.) is alarmingly increasing due to diet, lifestyle and globalization. Chronic wounds play a role in the physical, emotional, social life and financial spheres of the people who suffer from them and those who cure their injuries. There is a need for continuous efforts to develop treatments and regimens that promote healing and optimize patient well-being. In addition, healthcare systems should identify and address the structural shortages of care services to create treatment models more targeted to patient needs. Skin regeneration can take very long time and the future of tissue engineering aims to develop innovative synthetic or naturally-derived skin substitutes capable to help injured tissues to heal properly with reduced efficacy time. 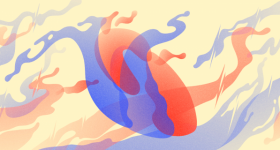 Many different scaffolding approaches are generally pursued, as for example the in vitro realization of a tissue, imitation of extra cellular matrix, trying to reproduce an analogue environment for what concerns its basic composition. 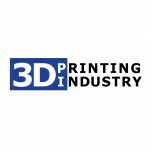 Three-dimensional (3D) printing is a technology that allows the fabrication of structures with arbitrary geometries and heterogeneous material properties. 3D structures essentially act as a template for tissue formation and are typically seeded with cells and occasionally growth factors, or subjected to biophysical stimuli in a bioreactor. It is a device or system, which applies different types of mechanical or chemical stimuli to cells. There is evidence that these stimuli have an effect on the cells and are responsible for regulating cellular responses. Bio-fabrication approaches of scaffolds include 3D printing or 3D bioprinting. 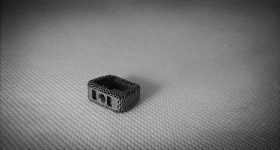 The advantage of these techniques is that is possible to directly print cells, embedded in a suitable biomaterial having a final shape with a precise control over composition and spatial distribution to the structure. 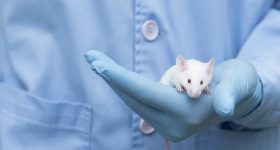 Skin cells should be preferably from the patient to not cause rejection, but bioprinting is expected to rapidly become the manufacturing industry of the future. The application in tissue engineering of 3D printing to biological structures, like scaffolds, which match in part the complexity of native tissue, is of great interest to researchers, but the ability to design and fabricate complex, 3D biomedical devices is critical in this field. 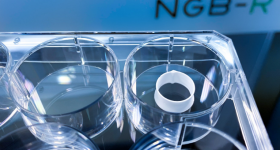 The objective of tissue engineering is to allow the body’s own cells, over time, to replace eventually the implanted scaffold or tissue engineered construct. Scaffolds and constructs, are not intended as permanent implants. 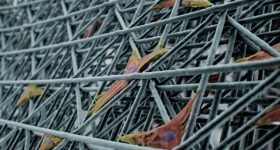 The scaffold must therefore be biodegradable to allow cells to produce their own extracellular matrix. The by-products of this degradation should also be non-toxic and able to exit the body without interference with other organs. Polymeric materials (natural polysaccharides such as alginate, chitosan, hyaluronic acid etc.) are often selected as promising candidates for scaffolding thanks to their high surface-to-volume ratio, their structural similarity to the matrix and in function of their final biomedical purpose. In particular, the criteria of choice are based on the evaluation of many material intrinsic parameters such as their basic chemistry, molecular weight, solubility, hygroscopicity, biodegradability and surface charges. When making scaffolding, architecture design on the macro, micro, and the nano level is important to consider for structural, nutrient transport, and cell-matrix interaction of structural conditions. The macro architecture is the overall shape of the device, which can be complex (e.g. patient anatomical features). The micro architecture reflects the architecture of the tissues (e.g. pore size, shape, porosity, and the spatial distribution of pore interconnection). The nano architecture includes surface modification (e.g. attachment biomolecules for cell adhesion, proliferation and differentiation). Although an ideal scaffold will account for all these factors, challenges still exist with biomaterial selection and 3D shape specificity, because 3D printing is already able to show the capacity to build structures at the macro, micro and nano scale. However, currently there does not exist a specific 3D printer that can build artificial tissues that cover the full range of hierarchical structures observed in vivo. For example, the deeper is the wound, the more complex is the biological system to regenerate (not only dermis, but also blood vessel and nerves). A complete wound map of the patient should be acquired by 3D scanner to create individual adherent “skin patches” and improve healing. 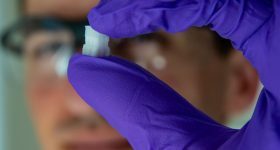 To bridge this gap, novel methods of 3D printing and new classes of bioinks are continuously under development. More recently development of smart biomaterials that can evolve their shapes as a function of time in a prescribed manner upon externally applied stimuli such as humidity, pH and temperature, have been integrated to establish a new strategy, for producing scaffolds, termed four-dimensional (4D) bioprinting. 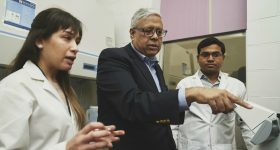 Even if product and technological challenges, like product stability or integration of printing and post printing, still have to be faced, it clearly appears that the speed at which the interdisciplinary manufacturing of skin-substitute advances is impressive and regeneration will represent the new frontier of the medicine. 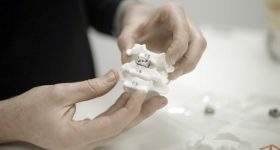 More information about the 3D printed medical solutions offered by M3DATEK is available here. Featured image shows Lisa Elviri from M3DATEK printed medical solutions.